An accidental post moved up budget unveiling by five days. Gov. Jerry Brown held a quickly organized news conference to announce his state budget proposal Thursday. The Twitter-verse reported that the budget was not scheduled to be released until next Tuesday, but was moved up after it was accidentally posted online. "The budget that I am submitting keeps the cuts made last year and adds new ones. The stark truth is that without some new taxes, damaging cuts to schools, universities, public safety and out courts will only increase," Brown said. Passing an on‑time budget that avoided the gimmicks of prior budgets. Closing three‑quarters of the state’s chronic structural budget gap. A year ago, the gap stood at about $20 billion and is now $5 billion or less. Adopting an historic realignment of public safety that brings government closer to the people. Protecting education, public safety, and other core state services to the extent possible, absent adoption of the proposed tax extensions. Eliminating redevelopment agencies to increase funding for schools, police, fire, and other core local services. Reducing the state’s cash‑flow borrowing from $10 billion to $5.4 billion and saving hundreds of millions of dollars in short and long‑term borrowing costs. Improving management of the state’s infrastructure projects by committing available cash to shovel‑ready projects and avoiding unnecessary debt. A majority of the Legislature needs to approve the budget before it becomes a reality. That debate will take months. Brown and the Democrats have already said they won't engage with Republicans in budget discussions after last year's failure to reach a compromise. Instead, they say they will go to the ballot and ask voters to increase taxes on the wealthy and boost the state sales tax. Prop Zero Budget Analysis: "Brown: My Budget Is Crap" | "Oops! 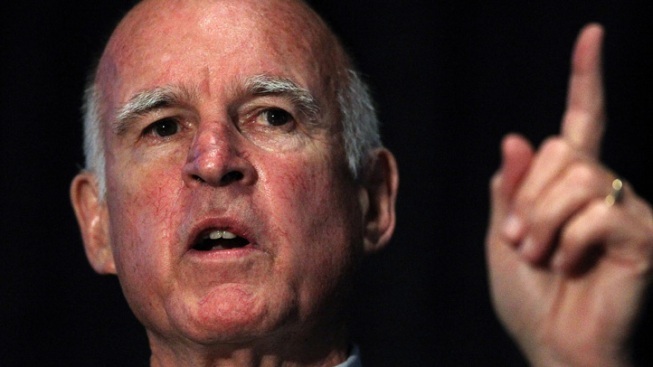 Governor Brown's Unexpected Budget"